The days of summer have come and gone, leaving the holidays less than week away. Every resident in the Oakland luxury apartments is sprucing up their home to accommodate this season’s festivities, which is often a tedious obligation in an already busy schedule. Like most people, all these festive preparations may have you stressing out. Before you lose your holiday cool, take a deep breath. This guide is here to help you turn your home into a winter wonderland, the easy way. Check out these top tips and tricks to make your home holiday ready. One of the best things you can do to alleviate stress is accept the fact that things can and will go wrong. You can also bet that nuisances and disasters will strike shortly before your guests arrive. However, there are steps you can take towards preventative maintenance to make these mishaps more bearable in your home at Fourth Street East. Start by cleaning out the microwave. It might seem like the least of your worries, but that tiny appliance is about to get a lot of use. Just wiping out the inside and cleaning off the vents can go along way in prolonging the life of your model. When preparing a holiday meal, purchase an inexpensive thermometer and place it inside of the oven. One of the largest causes of preparation frustration is an off-temperature oven. Most models are off by ten to even twenty degrees from their reading, even the latest and greatest. While you’re at it, now is an excellent time to clean out your refrigerator, inspect your dishwasher, and make your toilets sparkle for future guests. Now that the dirty tasks are out of the way, you can focus on preparing your home for friends and family. 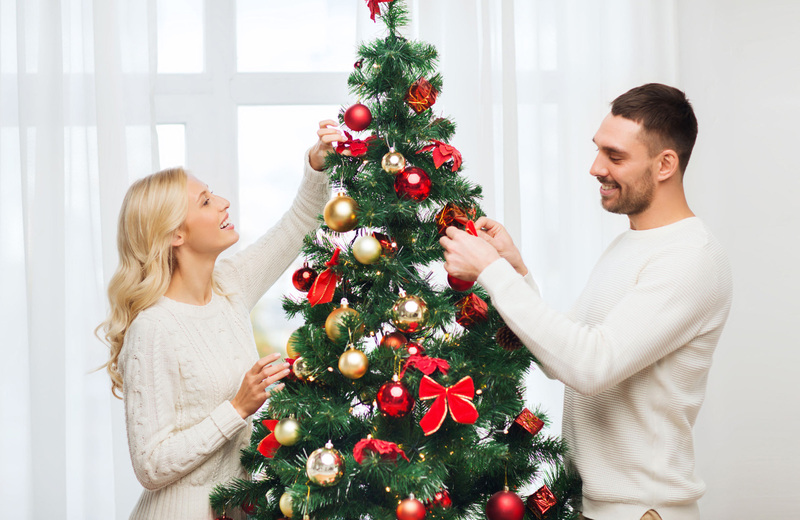 It might seem like holiday decorations should come next, but these tips will lay the foundation for the flow of your merry and festive décor. If you have guests coming in from out of town (whether they’re staying over for a few days or not), it never hurts to place a list of things to do in the area on the fridge. This provides them with a way to see the city while giving you some much needed alone time. Everyone loves spending quality time with their family, but there is such a thing as too much quality time. Other simple fixes include swapping out dishware for the “fine china,” or a nicer set of plates, setting out any special holiday platter plates for crackers or cheese balls, and placing any holiday glasses on the table. Make sure to leave the glasses upside down to prevent any dust from building up inside. Now comes the fun part! There’s nothing quite like decking your halls and illuminating your home with twinkling lights. You don’t have to dump your life savings into a light display, though. If you want to keep things stress-free, then simpler is better. Plus, effective yet simple décor can create the comfy, cozy feeling you want your home to give off. Start with a focal point, then expand from there. Your focal point might be a tree, a set of stockings, or the dinner table. As you work your way outward from this central location, start spacing out your decorations. It makes sense to have more lights where most of the traffic and conversation will take place, but reaching out onto your private balcony might be a little much. While less is more, it can be even more impactful than an all-out display. Check out these unique apartment decorating ideas for a little inspiration. Time spent with family is often a defining moment in our lives, one of remembrance, celebration, and unity. Fourth Street East is an unlimited number of moments in the making for the community of Oakland’s waterfront as well as the lives of the people who make their homes here. With fully modern interiors, resort-style amenities, and a premier location, life is yours for the taking in these new apartment homes. Each home in Fourth Street East comes fully equipped with the finest in modern designs and finishes. French door refrigerators and kitchen islands pair with waterfall edge quartz countertops to create aa captivating cooking space, while recessed lighting and wood-look luxury flooring envelope you in the comforts of home. Luxury soaking tubs with tile surrounds and walk-in showers are designed for pampering, while private decks and rooftop terraces provide an escape from your day-to-day. Smart technology reduces your carbon footprint, while keyless entry systems and custom MechoSystem roller shades add to the ease of one-touch living. The community within this building caters to every facet of your lifestyle from your entrepreneurial spirit with a co-working lounge to your inner child with a game room. Relax after a long day at the pool and spa, fireside lounges, or the rooftop sky deck lounge. Stay active in the 2,000+ square foot fitness center, or get crafty in the DIY workshop. Entertain guests in the chef’s kitchen and grilling areas, or pamper your furry friends at the pet spa. Everything you need is right outside your front your door. Welcome to a living space where moments are created. One that combines both expected and unexpected comforts under the Bay Area skyline. Welcome to the next chapter of your life. Welcome to Fourth Street East.